Our family does litter pick up on the stretch of road between us and our church (no one else lives in this section). After my runs we walk to the church quite often and it's been a game of who can get the most litter. We also believe is "lights off" when the suns out or no one is in the room. We also use a pellet/corn stove to heat our PA home and MD rental. I went to the website yesterday when you posted the link and I want one of everything. My favorite is the "places you'll go" shirt in bright purple. I also LOVE the jewelry. In honor of Earth Day (which is also LM's birthday every year) we will be turning off the lights and tv, planting some flowers, looking for things that can be unplugged, etc. The best running advice was early on in my running. I couldn't get my breathing correct and I was just all out of whack. I got two great pieces of advice (1) breathe like in lamaze.... two short breaths in, one big one out That got my breathing situated. The second? My brother told me to just keep going. The worst that could happen was that I'd pass out and that he patrols that area regularly and wouldn't let anyone embarrass me. Lovely. :) However, he was right. I have no idea what I was scared of. the best running advice i ever got (and listened too) was have fun because if you're not having fun then why are you doing it? Awesome company!- I would buy the bib album. Love it! I like the running girl canvas tote. That would make a great library bag! The best running advice I ever received was to wear moisture wicking clothing. Makes a huge difference. I've donated to Marathon for the Cure! I will be linking you on my next post. You told me to not worry about how fast or slow I am, don't compare myself to others, just run an enjoy. My current mileage is 699.8 miles 1310.2 to go to my goal! Okay way too much stuff there I like. Green: I am working from home today... for all 3 of my PT jobs!!!! I work from home, and today I walked to the bank instead of driving. Yay Earth! I also spent 45 minutes on Gone for a Run - I love all of their performance tees and want to buy them all!! Yum! The best advice I've ever gotten (keep getting) is listen to your body. I've been injured a lot, and it's because I ignore what my body wants. I need to pay attention!! I would get the Running Oh The Places You Will Go Tech Tee. I actually picked up several pieces of trash and stowed them in the jogging stroller this morning when I ran two miles. I do this quite often. Didn't remember it was Earth Day. Best advice for someone like me who doesn't race and fights with running all the time was that it doesn't matter how slow you go as long as you go. I love the Gone On A Run Performance Tee and the Performance Hoodie. The best running advice I ever received came from you. Before my marathon you told me to remember that every step you take is a step closer to the finish. I think about that every time I want to stop. My current mileage is 400.72!! How have I not heard of this site previously??? I can't pick, seriosly I love their stuff... hmm let's go with though the Endorphins shirt or maybe the I"m Running FOR so I could write on it for a race! the best advice I received that has applied to my running came during a summer where I was working 80 hours a week... "YOu don't have to do this forever, but you can do this for the next 5 minutes" that keeps me going on tough runs. What a fun giveaway! I'd definitely buy this 26.2 necklace as I've been looking for one since completing my first marathon (running #2 in October) and this one looks really sleek/stylish! I walked to the library today, so I walked and I reused a book! I like the kick asphault tee. Little one and I plan on planting some flowers today. My hubby gave me some great advice for my first race, don't start too fast, or you will burn out fast. Seems simple, but I have to admit it was hard to not start out sprinting. The best running advice...don't forget to enjoy the little milestones along the way to my 26.2 milestone. My best advise is to rest - and be Ok with it. Recovery from running is half the battle. I love the t-shirt that has the dog holding the running shoes! I would love to have it! In honor of Earth Day, I am now washing all of my clothes (even whites) in cold water. I am also waiting until it is absolutely necessary before turning on the AC. I linked this giveaway to my blog. The best running advice that I have been given is that it is okay to take a rest day! I really want a Running Oh The Places You'll Go Women's Running Tee! I like the "Kick Asphalt" tshirt. But there are many other things on the site that I like! In honor of earth day, I have been working in the garden all week long! When my veggies start producing, I donate my excess to the food bank. I have also planted extra seeds this year and plan to give some seedlings to a community garden. My "green act" for Earth Day today is to link up a UTube video on Facebook that shows the incredible waste that those disposable plastic bottles are. I am encouraging all my friends to do their part and buy a recyclable reusable water bottle. Get fitted for running shoes by a pro at a running shoe store. This is SO important as I learned. I started in shoes that I get from a garage sale and once I started running more than 2 or 3 miles I got blisters. Ouch! And potentially bad news if they get infected! The best running advice I've ever gotten was to just get up and do it - keep going even when you don't feel like it. I run in the EARLY mornings (5 a.m.) and there are many days I would much rather just roll over and stay in bed, but I tell myself to just get out there and do it for 10 minutes - of course after the 10 minutes I'm feeling much better and always stick it out for the entire run. Great website! So many fun things. I *love* the "Running Chick" tee! ... oh and I donated! Good luck! I would buy the Marathon Message Ring Bracelet. And a million other things! Love this site. I recycled all my old Wall Street Journals last night! The best advice I have received is to buy too big of running shoes! I had a terrible time with blisters until someone saved my life with this advice! I love that site! I like the swim, bike, run blocks running tee! Sooo cute! I think some of the best advice I got about running when I was training for my first half marathon was to "run my own race." I think sometimes, especially in race situations, we tend to change our pace b/c of those running around us. What we should actually do is tune them out and just do what we know to do! I will be extra GREEN today... not driving my car to meet my running group (about 2mi) - will run instead! Best running advice - Rest/recovery days are as important (if not moreso) as run days! Donated to Marathon for the Cure! 593 miles so far on the 1000+++ club! I would def. get on of the headsweats visors. My white running hat is starting to get really ratty and I could really use an upgrade! I love the simple black Run Girls Womens running Tee. Love a lot of there stuff actually!!! In honor of Earth day and everyday actually we recycle and we make our own cleaning products or buy green ones. I love the Running Chick spag strap tank top! I also really like the race bib organizer. we are planning and maybe planting some of our garden today! I posted this giveaway to my blog! I tweeted about the giveaway. Also went on the website. I'd love the "Kick Ashphalt" and "Gone for a Run" performance tees. Thanks for the giveaway! My daughter and I are walkign to her dance class tonight instead of driving there tonight ... this will help reduce our footprint and give us some quality time (and exercise!) without the boys!! best running advice i've heard is scheduling your workouts. I do this all the time, by plannign my runs around life and writing down my plan on my paper calendar. It proves to me that I can do have available time to devote to myself and I keep my appointment with ME! 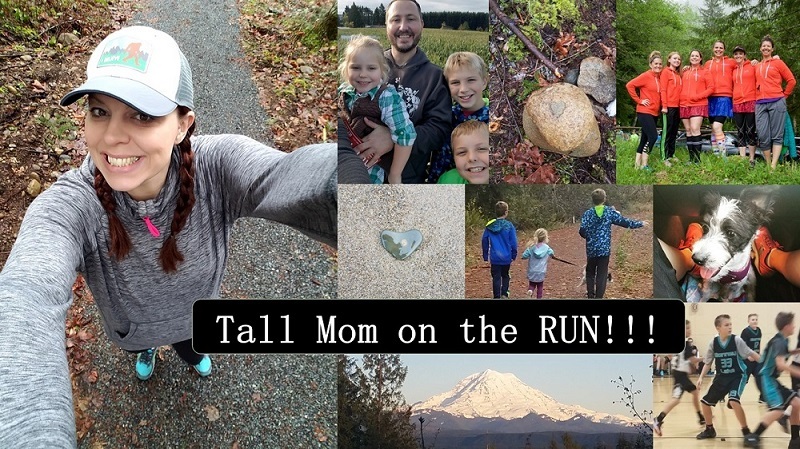 I've donated for your upcoming virtual race and am a 1000+ mile member!! In honor of Earth day I will be walking my son to and from preschool even if its pouring outside. I won't use the car at all today. I am LOVING the "oh the places you'll go" performance T. May have to make a present request on that one. I linked your giveaway on my sidebar. I've been reusing my G2 bottles for a long time as water bottles...saves me from buying bottled water and it's an easy way for me to track how much I drink every day. Also fish hubby's recyclable things out of the trash every night because he absolutely refuses to recycle for some bizarre reason. Best running advice I ever got was that race day runner has no idea who training runner was - she doesn't know whether training was bad or good, all she knows is that she's ready for the race. RunnuRMark told me that before the Disneyland HM, and I got a PR there in spite of really horrible training leading up to that. im green everyday...cloth diapers, recycle every bit of trash i can, etc but i did wear my "recycle" shirt today and told everyone who asked that it was earth day....raising awareness!!!! i think i got one of the best pieces of running advice from your blog....you will never regret going on a run, only the ones you dont. i like the personalized coasters, those are cool!! best running advice i ever got was "fly and die." I'd have to get the "Got to Run" women's running tee! I have been looking for some amazing running jewelry! I would get the Sterling Silver Engraved Running Girl Round Pendant Necklace! I LOVE this necklace! One of the best pieces of advice I've gotten: better to come to the start line of a race undertrained then overtrained. I am all about the "oh the places you'll go" T-shirt. When I was an R.A. in college I read Oh the places you'll go to my girls at our first hall meeting. That book has a lot of sentimental value. It was also the first gift that I gave my goddaughter. I love the "oh the places you'll go" shirt so much that I just bought 2 (one V one scoop neck). I would get the Running Chicks performance T.
I am riding my bike instead of driving as much as possible today. I've donated to the Marathon for a Cure. The best running advice I ever got was the running is mainly mental--your mind gives out long before your legs do. I really like the Peace Love Running Girl charm bracelet! I also really like the 26.2 ring bracelet! Also I leave my lights off in my apartment during the day so sunlight can light up the room instead of turning on the lights!! I tweeted the giveaway and linked it on my blog. I try to live every day as if it is earthday, drive a hybrid, eat locally as much as possible, garden in the summer, use reusable water bottles and tap water, even have a soda maker at home. Today, mother nature permitting I will be putting the last of my seedlings in the ground, The garden is large enough to feed way more than the 2 of us, but people are always willing to take free veggies! The best advice I've ever gotten wasn't really advice and it wasn't said directly to me. I was watch the Ironman championships and at one point during the marathon section one of the runners said "it feels like death but this is really living". It kind of stuck and I think it's going to be my personal mantra. I may even get it printed to the back of my shirt for the ING NYC marathon. I really like the Women's 1/2 Zip Performance Hoodie in black! WRT green living I've been trying to walk more instead of taking a cab or the train and I'm looking for a good commuter bike. If anyone has any suggestions let me know. I love, love, love their stuff. I want a gazillion things, but would love the "Dr. Suess" style All the places you'll go tech shirt or the Livn lovn runin shirt...Too cute! I think I'm in the 1000+++ club. My current mileage is 262. I'm all about the jewelry - can't say no to shiny things! For earth day, a friends company that I'm a part of is celebrating it's one year anniversary. It's a design firm based on sustainability and we hope to do much more work this year in helping to create LEED accredited projects! Best running advice? Before starting out in marathon training I had the advice of 'better to be 10% undertrained for an event than 1% overtrained and injured.' So important to keep in mind! I have been bringing my Golite Hydroclutch to the gym with me instead of using bottled water!! My best running advice...Run your own race! Wish I would have heard and followed this prior to my first half. I was trying to keep up with everyone else, and I think that is one of the reasons I failed...so, next time I will be "RUNNING MY OWN RACE!!!" I would buy the "Oh the places you'll go!" t-shirt - I just love that one! For Earth Day, I did not drive to Starbucks; instead I made my own coffee from their instant tubes and used a real (not paper) coffee cup! Best running advice would be: don't try anything new on race day. I test out everything ahead of a race now - socks, body glide, energy fuel...so hopefully the race will be as smooth as possible. Wow, what don't I want. I love the performance T's with the Liv'n Luvn'n Run'n, the Sprint girl, the run oval, and the run block. I also loved the sliver tube bracelets and think the Bibfolio would be great. Right now my bibs are just floating somewhere around the house. I went through this site yesterday when you gave us a sneak peek, and OMG, I can't decide what to buy. I'm torn between the "PERSEVERE" YouAreTAG Necklace and the Sterling Silver Adrena Bead Necklace that says "RUN". Oh the pressure. BEST running advice? I'm not sure it's the best but I've always made sure to keep my core muscles strong which helps keep good posture while running. However, don't forget about strengthening the back muscles as well to keep you in balance. i.e. A strong stomach but weak back can lead to back problems. If you have an opening for the 1000+++ club I would love to get in on that. My total so far this year is 131 miles. I love the running buzz performance tee! Super cute stuff! I wrote a post on my blog about Earth Day, with some easy tips to be green! one of the best running tips I got was to pump my arms when I go uphill. Definitely helps me out on each hill! There is a lot of stuff on that site! Although I haven't run a marathon the 26.2 necklace looks really cute. Best piece of running advice would have to be to listen to your heart and listen to your body! You have to want to run this with your heart because it is such a big part of this sport! Great site! Thanks for the link. I'd love the Run Girl Women's running tee. We recycled all our cans today. Also picked up trash in the court. best running advice? It's mind over matter! I'm in your Tall Mom 1,000+++ Club and am at 361.8 miles for the year. I'd probably get either a "Kick Assphalt" performance t-shirt, or one of the "swim, bike, run" shirts! So many cute things! I think I would pick the t-shirt "Running....It's a beautiful buzz!" I want the blue hat with the pink girl running. Since we both know I'm in the market for a shirt, I like the Running Buzz Women's V-Neck Performance Tee and the Gone for a Run Women's Performance V-Neck Tee. In geocaching we do this think called CITO ('cache in trash out) and we did some yesterday, but today we're doing the saving energy thing by leaving our lights off until after dark, not using the heat, and playing outside instead of watching cartoons! In honor of Earth Day, I used my reusable bags at Fresh Market and a BPA free Nalgene bottle at work today. Well, I guess that wasn't really for Earth Day since I used a Nalgene every day and my reusable bags when ever I go grocery shopping, but I'm going to count it anyway. Start out slow (from my program) and keep at it/don't get down on myself from my friends and hubby! I get to donate to you and Micki on the last day of your contest!!! The best running advice I received was from my high school cross-country coach on my 17th birthday. I was running at Sectionals, and I knew it would be my last XC meet every. She said, "Have fun today!" I also posted your giveaway to my facebook. I went to the site yesterday when you posted a sneak - I ordered the "Believe" bracelet which is back ordered until the 24th :( but I also ordered the bibfolio. I've just recently started running and run my first race May 22, a 10K and have a few more planned for this summer, thought it would be a great place to keep my bibs! I LOVE the "Kick Assphalt" v-neck t. I want it!! My husband and I searched Craig's List and found a free (old) rain barrel. We picked it up off the curb and are turning it into a composter! I shared this on my Facebook. I think my sisters will love the t shirts. "Ice." Context: My first 26.2 & I didn't know what was going on. I hadn't iced & I was very sore. I have definitely listened since!! I'm in the 1000+++ club, and I'm just under 350 so far :) This is helping me so much to stay on track with my goal for the year! best advice "don't go out to fast in the marathon"
my current miles is 403.21...yay I'm over 400! The best running advice I got was in my running 101 class. Our instructor really stressed the importance of good shoes. She gave us the name of a local store owned by runners who look at your old shoes and watch you walk. The shoes I ended up with were very ugly, but have made all the difference! I linked your giveaway to my blog. I posted your giveaway on TGIF A-Z on the Turtles blog. I'm definitely a green runner and celebrate Earth Day every day... cloth grocery bags, use 'green' light bulbs, eat very little meat, recycle paper, plastic & cans, donate clothing, household goods, and running gear regularly AND... wear an environmentally friendly arm pocket when I run. "Always be mindful of traffic. Drivers don't look out for you. Don't ever assume they will. Use the crosswalks" - during our first 'long run' together (6 miles, I think??) last fall. She was awesome, practicing her marathon shuffle and telling great stories while I plodded along, trying not have a heart attack. I thought I was going to die!!! I love the "believe" tube bracelet and the womens' "gotta run" tech shirt. My daughter received a tree at school today and we planted it! Happy Earth Day!! I love the hats and the ornaments and the jewelry and the... I think I'll buy myself an ornament after the race. We only put ornaments with meaning on our tree, so that would be a nice addition. I'm at 485.6 miles for the year. Can't believe I'll be hitting 500 before the end of April!